If you thought I’d be ragging on you closer to the holidays or even after them about keeping up with your fitness and food regimens, you’d be wrong. The time is NOW. Why? Because now is the time I want you to pay attention. Yes. I am trying to save you from yourself. It will be a HUGE temptation over the next few months to “let go.” I’m not talking about the occasional cookie, that tiny tub of salted caramel gelato every few weeks, or some lousy butter on your popcorn. I am talking about a steady holiday weight gain that can creep up on you like a thief in the night — robbing you of a good chunk of your fitness progress. There are about 14 weeks between now and the end of the year. 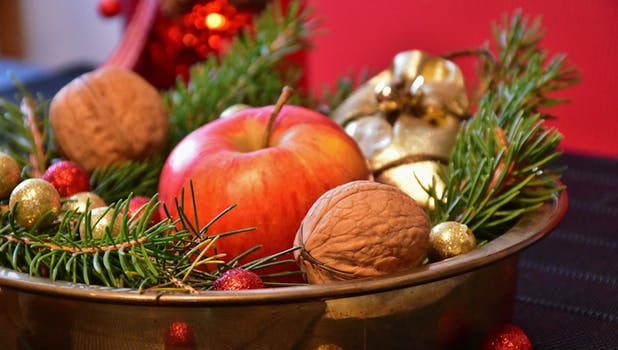 If you gained only one pound per week (which can happen if you skip workouts, eat out more often, or “over-sample” those delicacies that make up those holiday traditions you know and love), you may well be back at that familiar square one — trying to shed all those pounds you worked your a—- off trying to get rid of this past year. It will take anywhere from 3-6 days at a minimum to get rid of that extra pound that appeared suddenly one frosty (naked) morning on your scale. I’m not trying to rob you of good times. Honest. I just want you to get real about all this so that you don’t do what everyone else does EVERY YEAR around this time — gain weight just to try to take it all off again in January. The fitness industry LOVES Januarys — believe me. Every gym in the country will be packed to the brim with holiday eaters, as if they learned nothing from the year before — because they didn’t. For every day you skip a workout, add another one to your week. That means if you text me saying you can’t make it to the workout studio at your appointed time on a Monday, you vow to get to the gym, run, or walk briskly on another day of the week (not limited to weekdays) for at least 45 minutes. If you've really gone overboard with the food, tack another one on to that. For every empty-calorie (verboten) alcoholic drink you consume, every piece of pie, every scoop of ice cream, or every dollop of buttered, gravy’d mashed potato you eat, you restrict your next TWO days’ calories to no more than 900-1200, depending on what you see appearing on the scale after your revelry. Watch food portions like a hawk. I know you don’t want to insult your relatives or friends by begging off the elaborate dishes they may have prepared. But you CAN cut your portions to a heaping tablespoon instead of a palm-sized-or-larger portion of 12 different foods on your plate. This mission — should you decide to accept it — will determine a number of healthy or unhealthy realities over the next fews months, but worry not -- I am here for you — as your taskmaster or your confessor (take your choice). You just can't say I didn't warn you.